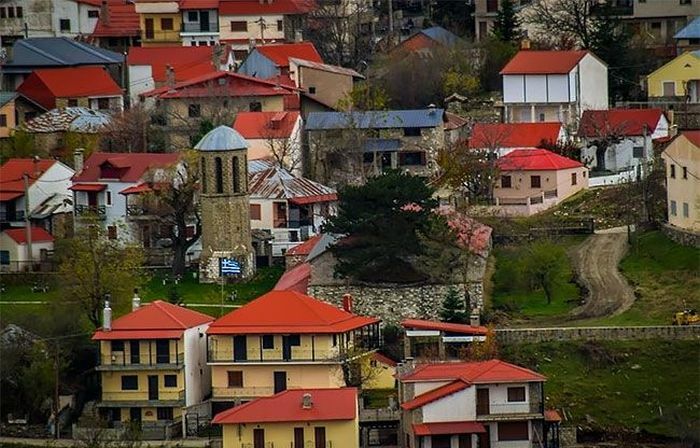 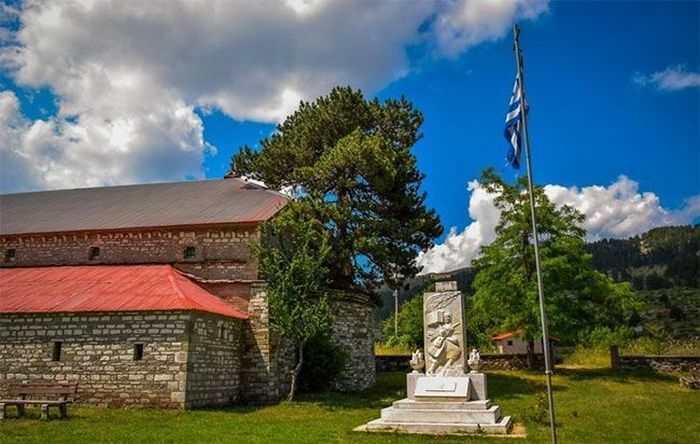 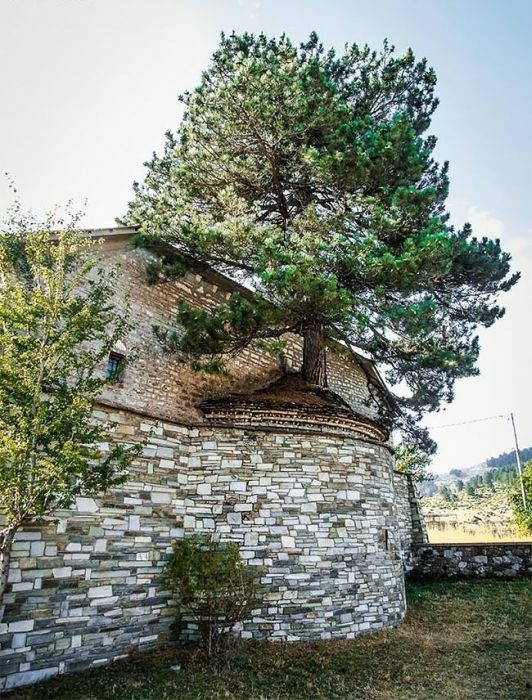 The Church of the Assumption of the Blessed Virgin can be found in the village of Samarin in the north-western part of Greece and on top of it sits a local landmark. 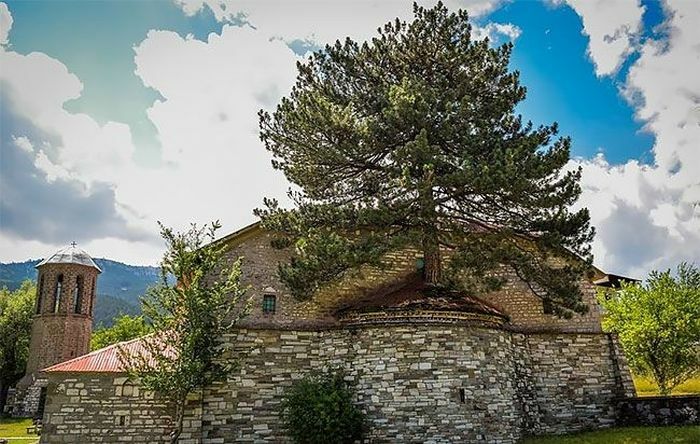 There is a 100 year old tree on the roof. 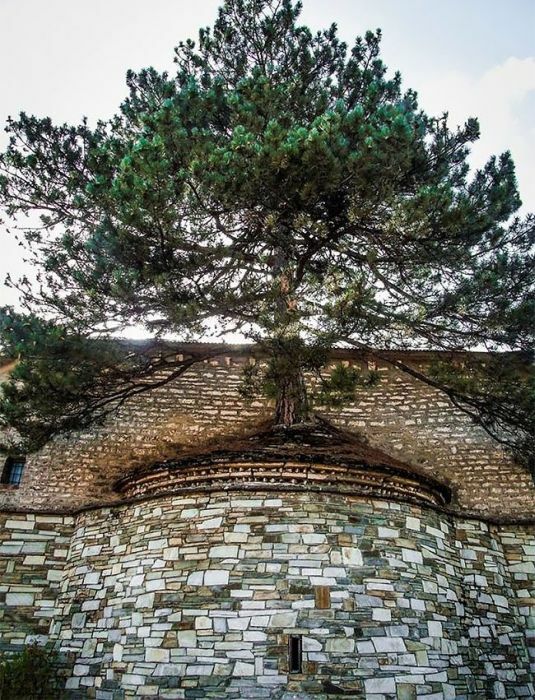 The tree began to grow inside the temple, and it eventually got out after breaking through the roof.